In Charlotte, there are a number of different types of felony criminal offenses that a person may be charged with that arises out of alleged drug activity. These offenses range from lower level felonies such as drug possession, to higher level felonies like drug trafficking. If a person has been charged with a felony drug offense in North Carolina, he or she is facing serious consequences. Depending on the specific drug crime charged, the potential punishment could range from probation to a mandatory jail sentence of more than 20 years. This even includes first time offenders. A controlled substance is simply a drug. Every drug is classified as either a Schedule I, II, III, IV, V, or VI controlled substance. Schedule I controlled substances are considered the most dangerous, while Schedule VI controlled substances are considered the least dangerous. For any type of felony drug conviction, from possession to trafficking, the potential punishment will be largely dependent upon the classification of the drug involved, with Schedule I being the most severe and Schedule VI being the least severe. The list below provides greater detail of each schedule of controlled substance. Schedule I: Schedule I drugs have the highest potential for abuse, have no accepted medical use, and a lack of accepted safety. Examples include heroin, ectasy, GHB, methaqualone, peyote, and opiates. Schedule II: Schedule II drugs have a high potential for abuse, have some accepted medical use with extreme restrictions, and abuse may lead to physical or psychological dependence. Examples include cocaine, opium, codeine, hydrocodone, morphine, methadone, methamphetamine, and ritalin. Schedule III: Schedule III drugs have the potential for abuse, but less than Schedule I and II drugs, have an accepted medical use, and abuse may lead to low physical and high psychological dependence. Examples include ketamine, anabolic steroids, and barbituates. Schedule IV: Schedule IV drugs have a low potential for abuse, have an accepted medical use, and abuse may lead to limited physical or psychological dependence. Examples include valium, Xanax, rohypnol, darvon, clonazepam, and barbital. Schedule V: Schedule V drugs have even a lower potential for abuse than Schedule IV drugs, have an accepted medical use, and abuse may lead to limited physical or psychological dependence. An example includes over the counter cough medicine with codeine. Schedule VI: Schedule VI drugs have a relatively low potential for abuse, have no accepted medical use, and abuse may lead to limited physical or psychological dependence. Examples include marijuana, hashish, and hashish oil. In addition to understanding the difference between Schedule I, II, III, IV, V, and VI controlled substance classifications, it is also important to understand certain terms related to felony drug cases. That is, the terms below have significant meaning when discussing the various felony drug crimes that a person may be charged with in Charlotte, North Carolina. Knowingly: Generally, “knowingly” means that the person charged was aware of what he or she was doing; that is, the person had knowledge of a certain fact. With felony drug crimes, that certain fact typically means that the person charged knew that they were engaged in a certain activity, whether that be possessing, selling, delivering, manufacturing, or transporting drugs. Often, evidence that is used to prove such knowledge includes the person’s statements or conduct, or statements made to the person. Possession: In a felony drug case, a person may have actual possession or constructive possession of the drug in question. Actual Possession: If an individual has actual possession of a drug, it means it is on his or her person and he or she is aware of the drugs presence. If the person was engaged in drug activity or impaired by drugs. Sale: To be considered a sale in a felony drug case, a person must transfer drugs to another person for some form of compensation. This compensation may be money, but also may be non-monetary items. Non-monetary items may include items such as clothing, jewelry, video games, or even services. Manufacture: In a felony drug case, an individual manufactures a controlled substance if he or she either (i) produces, prepares, propagates, compounds, conversions, or processes a drug by any means, or (ii) engages in any packaging or repackaging of the drug or labeling or relabeling of its container. However, if these activities are engaged in for the individual’s own use, during the course of professional practice, or incident to research, teaching, or chemical analysis, it is not considered manufacturing. Transport: A person is considered to have transported drugs if there is actual carrying or movement from one place to another of the drugs. Even where the person moves the drugs only a short distance, he or she has likely engaged in the transportation of the drugs. What Felony Drug Crimes can a Person be Charged with in Charlotte? 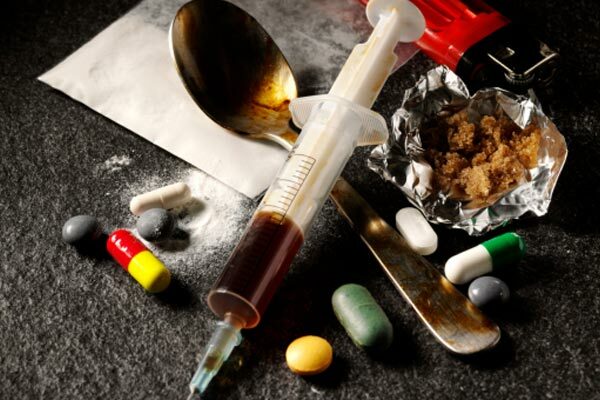 In North Carolina, there is a long list of potential felony drug crimes, from possession to promoting drug sales by a minor, that a person engaged in illegal drug activity could face. However, most of these criminal offenses are encompassed within five major felony drug offense categories, including (i) Possession, (ii) Sale or Delivery, (iii) Manufacturing, (iv) Possession with Intent to Manufacture, Sell, or Deliver, and (v) Trafficking. Below, each of these drug crimes, and the associated punishment, will be discussed. As you read through them, keep in mind the Key Felony Drug Crime Terms highlighted above. Note: If the manufacturing involves preparing or compounding, the person also must act with an intent to distribute. Unlike the punishment for other felony drug crimes discussed in this article, drug trafficking is not punished under the North Carolina Structured Sentencing Guidelines, which accounts for the person’s prior criminal history. Instead, if a person is convicted of drug trafficking he or she must be sentenced as set out in the chart below, regardless if he or she has no prior criminal convictions or many. The chart below details the minimum and maximum sentence that a person convicted of drug trafficking must serve based on the type of drug and amount of drug involved. These guys really went to bat for me. After the DA did not offer a good deal on a minor traffic infraction, they went to court for me a second time. And this time they were able to get my case dismissed. No fine, court cost, and no black spot added to my driving record! Do not use the option of going to driver’s school, instead hire these folks. They communicated well and clearly explained all of my options before I retained them. They are AWESOME and the price they charge is amazing for the amount of effort they put forth!